Last week we noted how the federal government has demanded that West Virginia pay back $4.7 million in broadband subsidies misused by the state. The demand came after a report by the US Commerce Department's Office of Inspector General (pdf) found that Frontier padded hundreds of invoices with nearly $5 million in extra "loading" and "invoice processing" fees, and was improperly paid for these fees even though federal grant rules barred the state from using stimulus funds to pay such project costs. And while we've well documented how Frontier has ripped off taxpayers in the state for years thanks to corrupt lawmakers (some of which simultaneously have been employed by Frontier) Frontier is refusing to pay back any of the money. The West Virgnia Gazette Mail notes that in a recent letter to West Virginia Chief Technology Officer John Dunlap, Frontier asserted that any funds the state might return to the federal government "are, of course, not recoverable from Frontier." Of course. "To avoid the waste of millions of West Virginia taxpayer dollars, the [state] should appeal," a Frontier employee tells the state. That not only ignores the fact that Frontier was directly responsible for these fraudulent charges, but that the company is likely responsible for millions more in wasted taxpayer dollars. For years we've explored just how corrupt and dysfunctional West Virginia has been when it came to spending their $126.3 million in broadband stimulus funds. 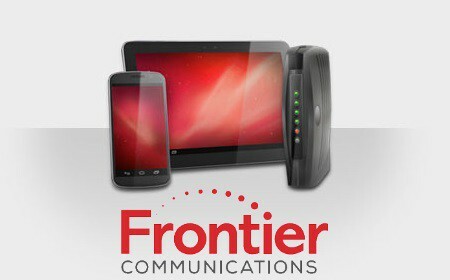 Local Charleston Gazette reporter Eric Eyre has highlighted for years how Frontier convinced the state to pay for ridiculously overpriced, overpowered and unused routers, and ridiculously overpaid, redundant Frontier consultants who failed to actually accomplish much of anything. In 2014, the state buried a study on their spending of the stimulus money (which they spent $118,000 for) that leaked anyway, highlighting that how Frontier Communications did a sloppy job in tracking spending, may have overbilled taxpayers substantially, and only built a mish mash of geographically scattered fiber upgrades that the majority of state residents wouldn't benefit from in the slightest. Attempts to hold anybody accountable for any of this at Frontier or in the state legislature have so far gone nowhere.